Send text messages to a group of phones, play alert tones and removes messages from the phone screen. Take screenshots of phone display. If you have hundreds of thousands of phones, you will be glad to hear that this can be automated with the UPLINX Remote Phone Control Tool. First, you record a key sequence which then can be applied to a list of phones. Read more about Bulk Key/Command Macros. 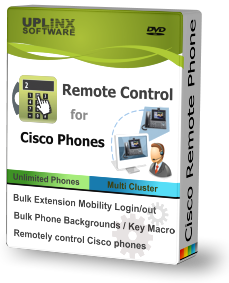 Phone Control Tool: Record key macro to change Cisco phone settings. The recorded key sequence to change the Cisco phone's configuration can then be applied to a list of phones. 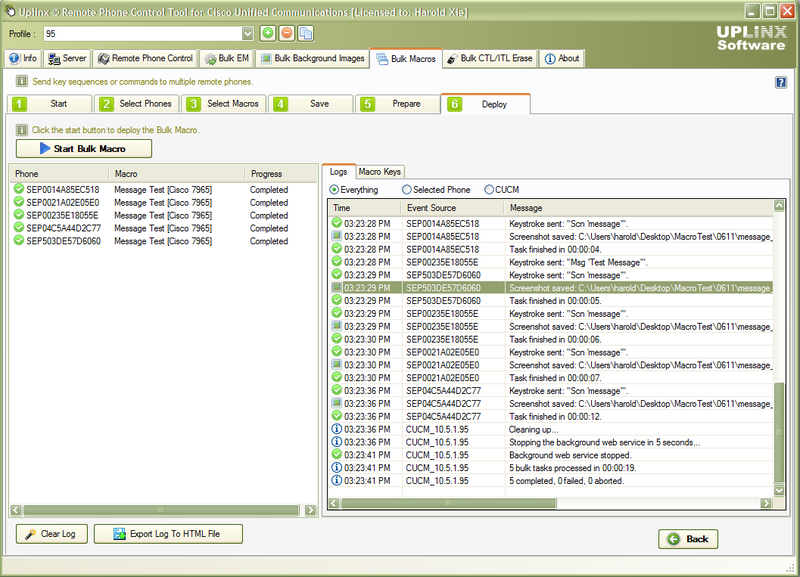 Easily select a single or group of phones to re-configure. The phone-group can be built based on device pool, model, extension range, location and phone description. Change Cisco phones settings remotely by replaying a recorded key macro.